This natural facial harnesses the skin brightening power of essential oils and herbs to thoroughly cleanse, exfoliate and renew. Your chosen aromatherapy oil is combined with an acupressure face massage, delivering botanical extracts to replenish and tone for a more radiant complexion. 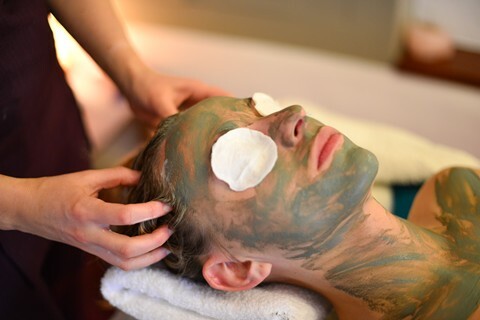 Whilst the nutrient rich firming mask clears your skin, drift away with a deeply relaxing head massage. 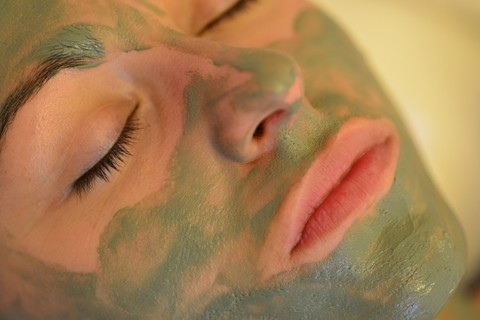 The treatment lasts for one hour and costs £45. To book a treatment or if you have any questions or specific requests please contact me. To see my full range of therapies please click the “Treatment Menu” button below. When you arrive, we will fill in a short consultation form, and we can discuss what you’re looking for. Therapies are carried out in my treatment room, which has the right ambience to ensure you get the most out of your visit. Afterwards you are welcome to a cup of tea in front of the fire in the lounge before you head back into the world. Please note the times shown above are for the treatments themselves so please allow time either side for the pre-consultation and post cup of tea! Please note all of the treatments are designed to primarily relax and restore. If you have a specific physical condition, you should seek out the services of a qualified remedial therapist.